With its innovative form factor, advanced operating system, and a then-unparalleled suite of integrated software, the iMac G4 led a new generation of consumer-grade Apple desktops that brought continued financial security to Apple during a time of transition—just as its iPod line began to heat up. But mere specs alone can’t convey what a marvel of a creation the iMac G4 was at the time of its release. Let’s take a look at seven reasons why the iMac G4 was an important addition to Apple’s legacy. 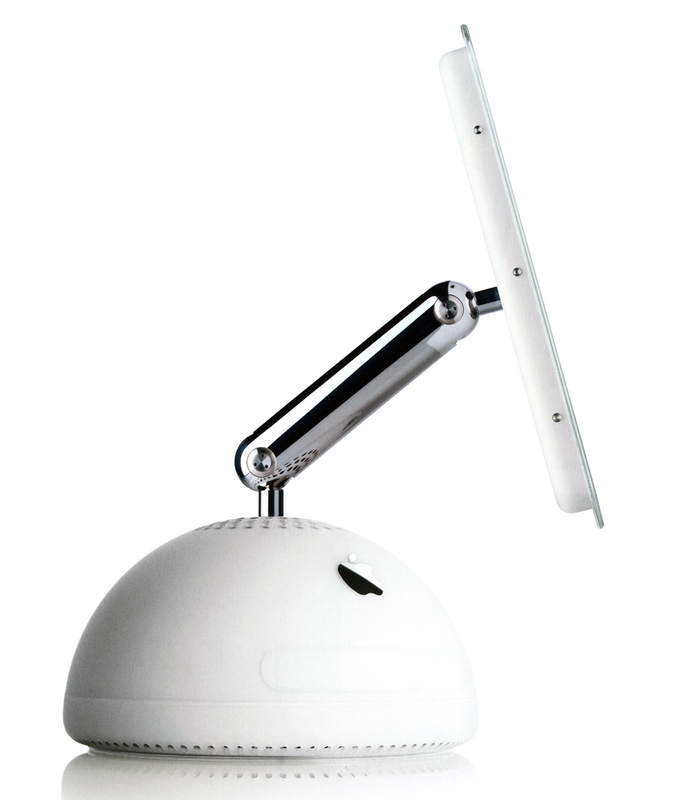 When the iMac G4 first rose up out of the stage during Steve Jobs’ 2002 Macworld Keynote, one design element stood out above all others: a thin flat panel display floating upon a cantilevered, fully poseable metal arm. This arm represented both strength and grace in design—it was strong enough that Apple encouraged customers to use it as a handle to lift the 21-pound machine, yet precise enough to maintain the display at a position parallel to its original angle whether you swung the arm up or down, left or right. And how about that hemispherical base? It too was a feat of engineering, cramming a full computer, drives, and power supply under a 10.6-inch diameter dome. It even incorporated a small, quiet fan that sucked in cooling air from the bottom of the base and channeled it upward through vents in its top—a classic Apple touch driven by Jobs’ love of silence. 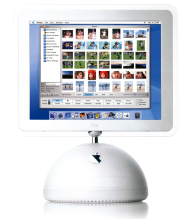 The iMac G4 integrated hardware and software in ways never before seen, making the iMac G4 a true digital media hub. With it, you could buy a sub-$1800 PC that let you create movies, DVDs, photo slideshows, write novels, and organize a custom digital jukebox with no additional cost (well, aside from the cost of a camera). That’s because the flat panel iMac shipped with a comprehensive and unprecedented suite of applications from Apple and other vendors that made it possible. With the launch of the flat-panel iMac G4, Steve Jobs declared, “The CRT is officially dead.” But the transition had already been underway: less than a year earlier, in May 2001, Apple had phased out its last modular CRT display, the 17-inch Apple Studio Display. By early 2002, the original iMac G3 remained the only CRT-bearing Mac left in Apple’s inventory. Prior to the flat panel iMac, the G4 processor had shipped in the Power Mac G4 (first introduced in 1999) pro desktop and the PowerBook G4 (2001) pro laptop. 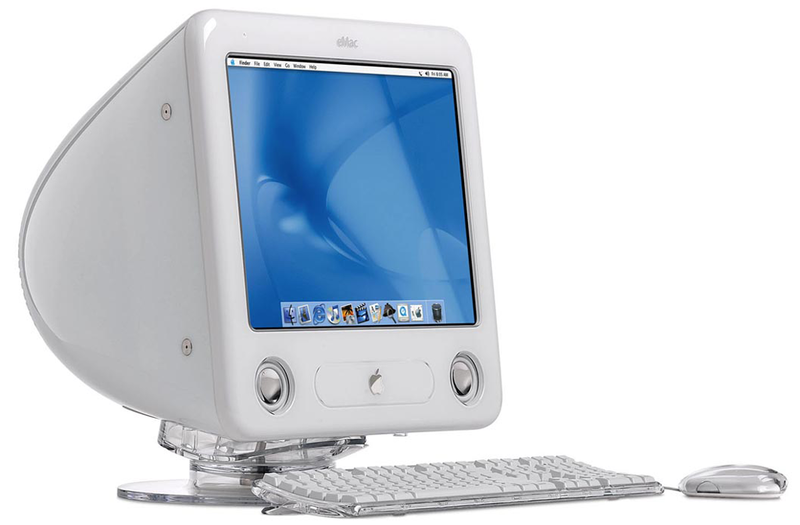 The iMac G4 brought G4 speed to the consumer desktop for the first time, albeit with some limitations: due to a slower system bus, the G4 in the iMac did not perform as well as G4s of the same clock speed in the Power Mac line. 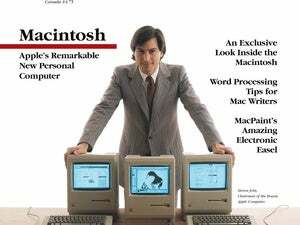 Still, the new iMac ran circles around the older G3 model, and it provided enough horsepower to run Apple’s suite of media-rich iApps. The iMac G4 introduced DVD burning to the consumer level of Apple’s product lines for the first time (note that the earlier iMac DV line had allowed DVD reading, but not writing). The SuperDrive present on the high-end iMac G4 could burn both CDs and DVDs, a capability very novel in the industry at the time, especially on a consumer product. Perhaps more than any other Mac up to that point in the Neo-Jobsian era, the iMac G4 lured people away from a world of Windows complacency and into the realm of seamless Mac integration. The iMac G4’s bold design, new OS, and critically-acclaimed software suite offered perks that no Windows PC could then match. With the new iMac, one could buy a true “digital hub” (to use Apple’s parlance) where software and hardware worked in concert to empower a computer user to an extent unseen since the launch of the original Mac in 1984. And you could only get that experience with a Mac. 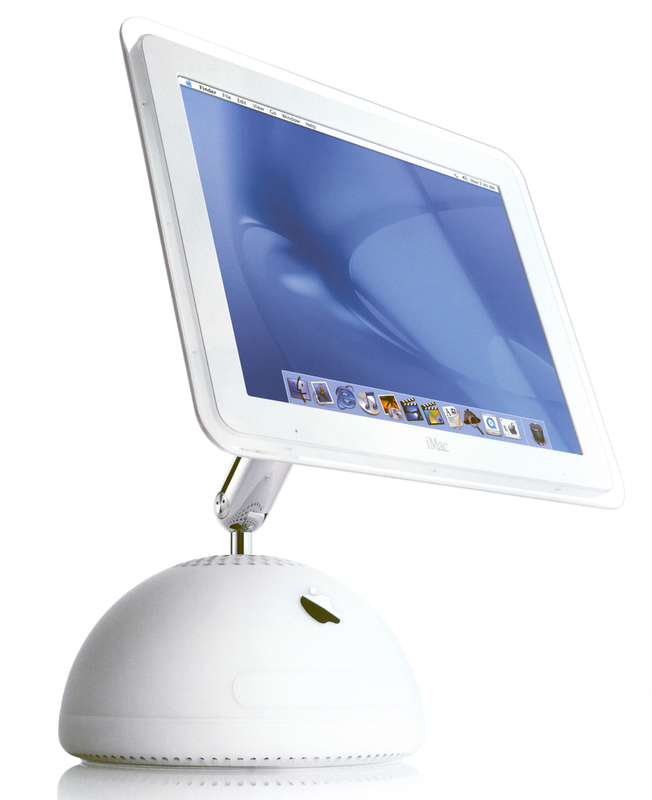 The iMac G4 sold very well, and it held the consumer desktop torch with style until the launch of the comparatively homely iMac G5 two years later. In the mean time, the G4 iMac received occasional speed and capacity boosts, as well as notable display size upgrades—first with a widescreen 17-inch model and even a 20-inch edition that landed in late 2003. Despite continued evolution of the iMac line in the past decade, a dedicated group of fans still swear by their iMac G4s to this day, and this author doesn’t blame them. Somehow I suspect I am not the only iMac G4 owner who longs for an official, high-powered update in the shape of the iMac G4’s endearing “flower pot” design. After all, it’s a design that still looks amazing and completely modern ten years later. Benj is editor-in-chief of Vintage Computing and Gaming. He's written for the PCWorld, Macworld, Atlantic, PCMag and Fast Company.